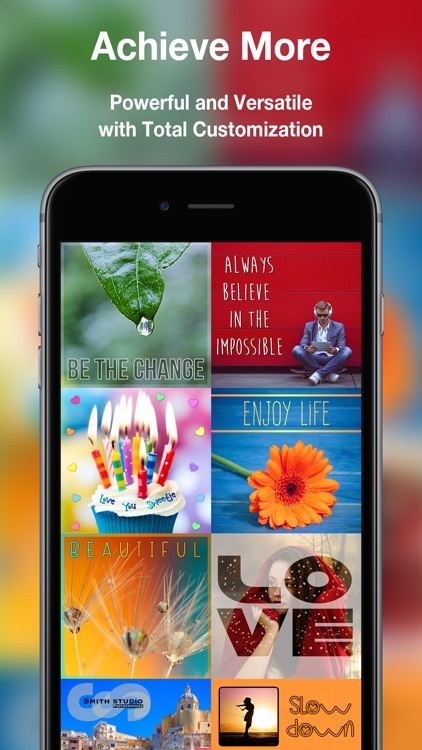 Mix on Pix - Text on Photos by Pixtolab Technologies Inc. 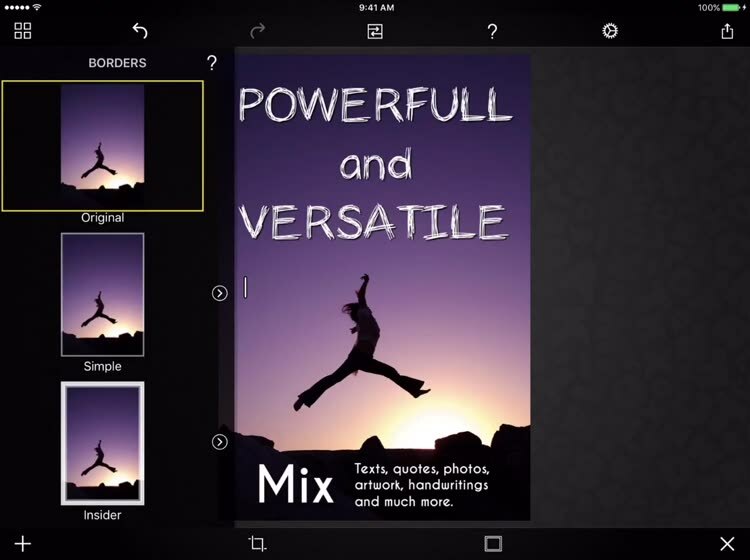 Mix on Pix is the most versatile app to add anything on your pictures. Mix texts, quotes, artwork, handwritings, drawings and much more. Beautify your pictures, annotate or express yourself with creative designs. All in one easy-to-use app. Do just a quick edit or gain total control thanks to Mix on Pix's top customization. 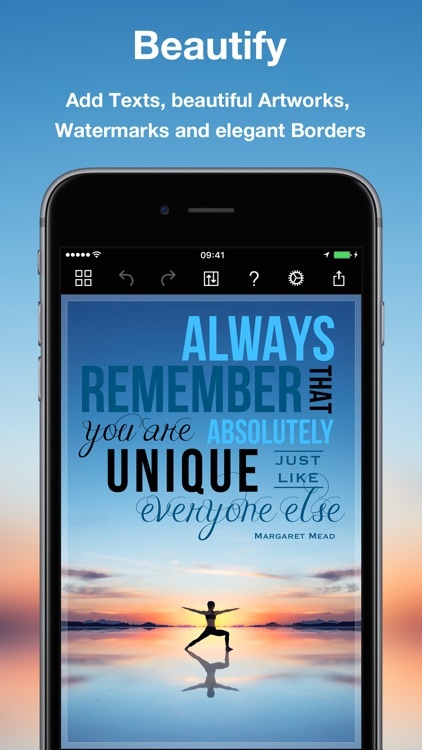 - Add a touch of text to enhance your artwork. - Use and reuse simple or composite watermarks. - Add a finishing touch with elegant borders. 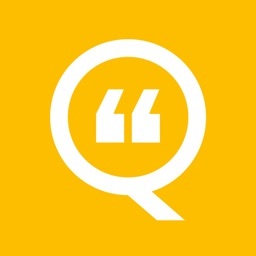 - Make your texts stand out in an instant with Quick FX. - Save and share at full resolution. - Multiple sessions. Create a session. Work on other sessions. Get back to your previous session easily. - Add texts, dates, arrows, shapes. Write and draw on your photos. - Group items to create composite object that you can save for reuse. - Automatically add an item when you create a session. - Send your pictures in PDF format. - Use a photo or a background of your choice. - Get funky with expressive borders. - Use finely designed Stock Texts and Stock Art. - We love typography. Check out our categorized lists of fonts. 500+ available fonts. 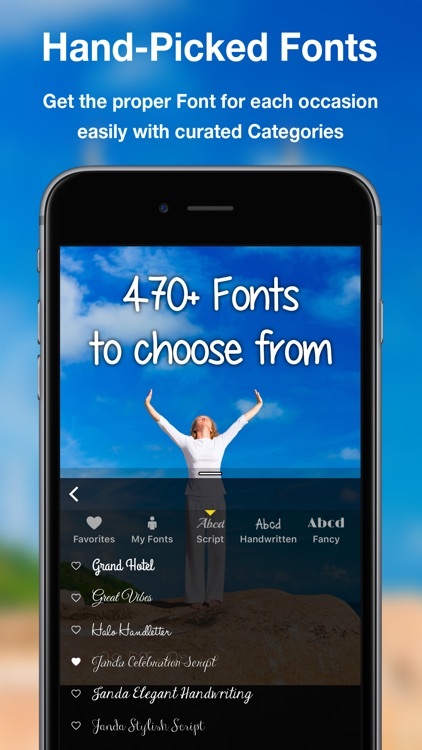 You can also install your own fonts. - Each added item can be customized to give you total control. 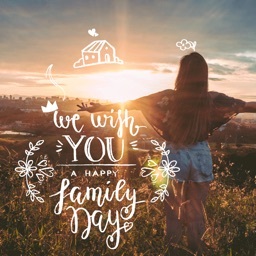 - Stock Texts and Stock Art. 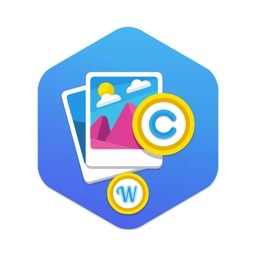 - Pictures (with the Picture on Picture pack). - Any saved items. You can even group items and save them as a whole. - Use 3D Touch to quickly create a new session or open the last session. - Support for Slide Over and Split View on iPad and iPad Pro. - Search in Spotlight using the Session name. - Use your device for a longer time in Low Power Mode thanks to adaptative User Interface effects. 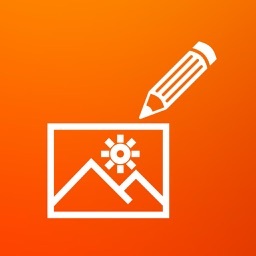 - If you like A+ Signature and want more, you will love Mix on Pix. - Bring your A+ Signature items to Mix on Pix. 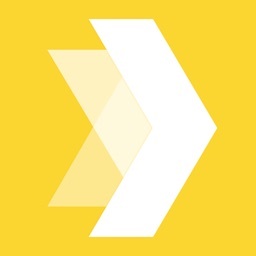 Check out Migration in the the App's How to. Follow us on Instagram: https://www.instagram.com/mixonpix. 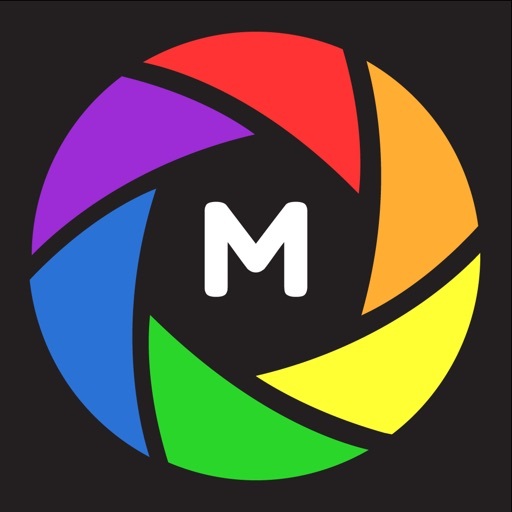 Use the hashtag #mixonpix on your Instagram posts.